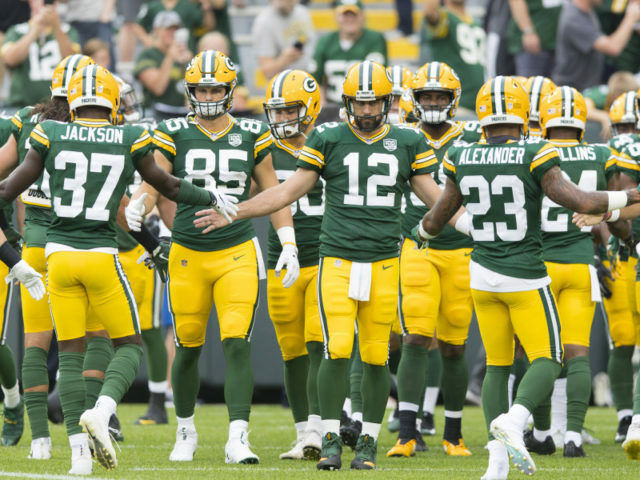 Green Bay Packers tight end Robert Tonyan thought he made the cut on the 53-man roster Saturday—right until the moment he got a text asking him to come hand in his team-issued iPad. It turns out it was all a prank. Tonyan, who was on the Packers' roster bubble, was on the wrong end of a mean-spirited prank by an unknown person. Tonyan told Rob Demovsky of ESPN.com that team director of security Doug Collins found out who the culprit was but did not divulge the information. "I guess Jake [Kumerow] talked to his agent, and he was like, the text message seemed suspicious," Tonyan said of his emotions at the time. "But in that moment you're not thinking that. You're thinking, 's--t.'"
Tonyan showed up to the Packers facility to a warm greeting. He said tight ends coach Brian Angelichio greeted him enthusiastically, and people in the administrative office were congratulating him. "I went up there and they were like, 'Congratulations,'" Tonyan said. "I'm like, 'What the hell is going on? Why is everyone happy up here? I'm coming in to turn in my stuff. I got the text.'" Tonyan spent the final four weeks of the 2017 season on the Packers practice squad. He recorded four receptions for 31 yards and a touchdown in the team's preseason finale. This seems like it was an in-house prank that went too far. There's a big difference between throwing some popcorn in a guy's car for rookie hazing and making him think he lost his livelihood. Either way, the story ends happily, as Tonyan will be on the Packers roster for Week 1.